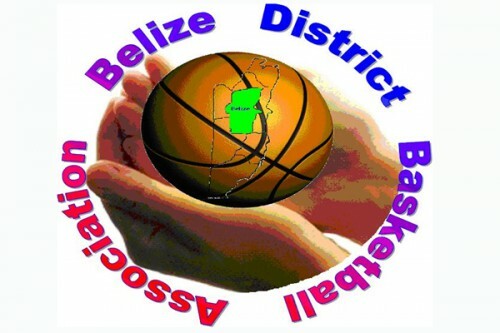 The Belize District Basketball Association (BDBA) Firms tournament held its last regular season games in Divisions 1 and 2 over the weekend at the Bird’s Isle court in Belize City. In the Division 1 opener on Friday night, Atlantic Bank/National Fire Service (AB/NFS) won, 60-56, over Belize Telemedia Ltd. (BTL). AB/NFS was led by Ty Bradley 25 pts 13 rebs, Ian Lennon 16 pts 7 rebs, Fenton Ross 11 pts 7 assts; while BTL had Lupito Acosta with 18 pts and Jason Lamb 10 pts. And in the Division 2 nightcap, Belize Water Services Ltd. (BWSL) were 54-40 winners over Belize Bank Ltd./Airport Authority (BBL/AA). Top scorers for BWSL were Luis Barcelona 14 pts, Lawrence Young 12 pts, Akeem Trapp 11 pts 6 assts, and Lindbergh Graham 9 pts; while BBL/AA had Terrique Gabb with 8 pts, Charles Armstrong 7 pts, Vince Lamb 6 pts and Christopher McGann 5 pts. On Saturday night, in Division 1, the opener saw Courts (Unicomer) defeating Heritage Bank/Belize Kee O Lal Tours (HBB/BKT) by a 54-50 margin. High scorers for Courts were Keith Pollard 15 pts 13 rebs, Jamal Pollard 15 pts 7 rebs, and Tyron Anthony 12 pts 5 assts; while HBB/BKT was led by Steven Bonnel 16 pts, Devon Defour 14 pts 11 rebs, and Felix Martinez 10 pts 7 rebs. And in the Division 2 nightcap, Complex “Admiral” prevailed, 66-57, over Central Health Region/A-Class Cleaning (CHR/AC). For Complex, Rhetton Belisle had 17 pts, Marshall Nunez 16 pts 5 assts, and Wilfred Richards 14 pts; while for CHR/AC, Alejandro Baptist led with 19 pts 7 rebs, and Steven Wade 10 pts. DIVISION ONE: Atlantic Bank/National Fire Service #1 (9 pts); Courts (Unicomer) #2 (7 pts); Belize Telemedia Ltd. #3 (5 pts); Heritage Bank/Belize Kee O Lal Tours #4 (3 pts). The Knockout Round playoffs take place this weekend, Friday and Saturday, with Division One teams meeting Division Two teams, #1 seed facing #4, and #2 facing #3. 8:00 p.m. – (40) Compex “Admirals” vs Belize Telemedia Ltd. The winners this weekend will go on to a semifinal two-game series (aggregate scoring) next weekend on Friday and Saturday, Winner 38 vs Winner 40, and Winner 39 vs Winner 41. The two series winners then clash in a best-of-3 championship series.